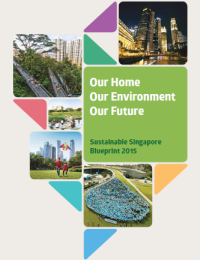 The Sustainable Singapore Blueprint 2015 published by MEWR and MND outlines our national vision and plans for a more liveable and sustainable Singapore, to support the diverse needs and growing aspirations of Singaporeans. 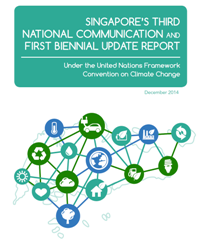 As a non-Annex I Party to the United Nations Framework Convention on Climate Change Convention (UNFCCC), Singapore submitted our Third National Communication and First Biennial Update, which provide information on our National Greenhouse Gas Inventory and mitigation measures. 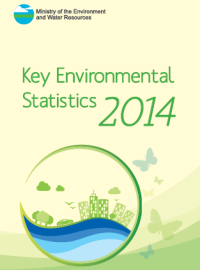 The Key Environmental Statistics 2014 publication by MEWR provides statistics on air quality, solid waste, environmental health, water, climate change and energy efficiency. 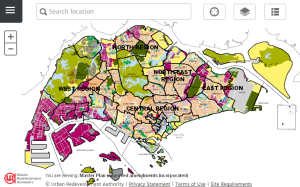 The Master Plan 2014 by URA is the statutory land use plan which guides Singapore’s development in the near to medium term. 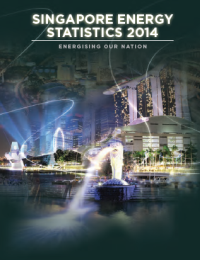 The Singapore Energy Statistics 2014 publication by EMA provides a summary of key energy statistics for Singapore, including energy supply, electricity and gas consumption, and energy balance. 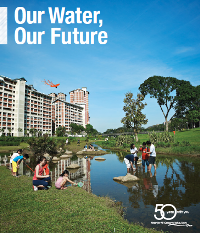 The Our Water, Our Future publication by PUB sets out the water strategies and plans in the next 50 years to expand our capacities on water supply, used water management and drainage; our continual investment in R&D on water technology; and about how everyone in Singapore has a stake in water. 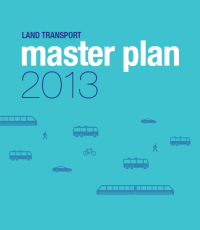 The Land Transport Master Plan 2013 by LTA addresses challenges and maps out new initiatives for the next 10-15 years of Singapore’s land transport journey. 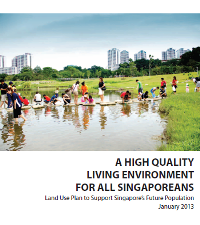 The Land Use Plan to Support Singapore’s Future Population published by MND outlines Singapore’s land use plan to support the possible population range of 6.5 to 6.9 million by 2030, while preserving a high quality living environment for Singaporeans. 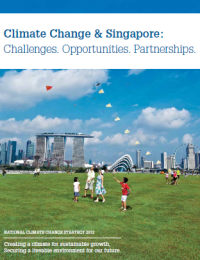 The National Climate Change Strategy 2012 publication by NCCS outlines Singapore’s plans to address climate change through a whole-of-nation approach. 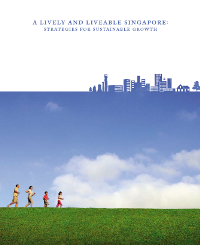 The Sustainable Singapore Blueprint 2009 publication outlines Singapore’s key goals and initiatives for sustainable development in the next 10 to 20 years to 2030. 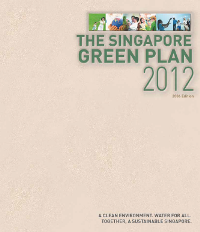 The Singapore Green Plan 2012 (2002 and 2006 edition) highlights our commitment to ensuring Singapore’s environmental sustainability and our targets till 2012.